This is a place to ask (and answer) questions about running the Lesson 1 Notebook. You should also check out: the lesson 1 wiki for fixes to a few problems. I installed latest versions of Theanos, Keras and Anaconda locally on my Windows machine - so I can play with sample data sets without hoping to use the t2.large instance. 2 # Grab a few images at a time for training and validation. 571         # as well as outbound_nodes on inbound layers. When I ran the identical notebook on the t2.large instance, it worked just fine. Since t2.large also has CPUs, any pointers why I am running into this error? Try running the steps in part 3 - ‘Create a VGG model from scratch in Keras’. Do you get the same error if you do that? Yep … unfortunately exactly the same error. solved the problem with vshets. I tried the installing locally all the required packages on Ubuntu 16.04 locally. 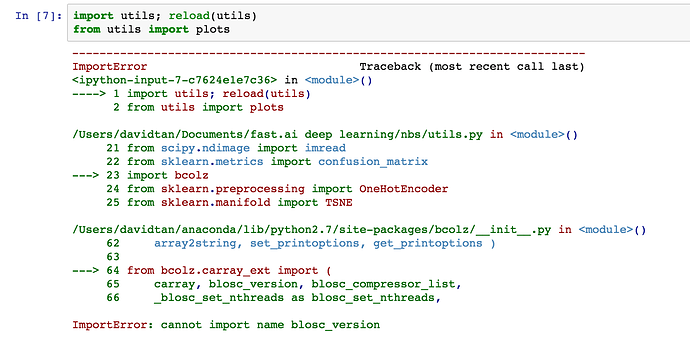 But when I tried to import Keras I got an error stating that module tensorflow is missing, although I did install that too. @taro.s.chiba congrats on some great debugging! @jeremy Thanks for the reply. I have followed that and changed my backend to tensorflow as mentioned in this link. @sethiavivek2006 hopefully you meant that you’ve changed your backend to theano ? Seth – Are you successfully running Anaconda3 w Python3? @jeremy @lin.crampton Thanks. 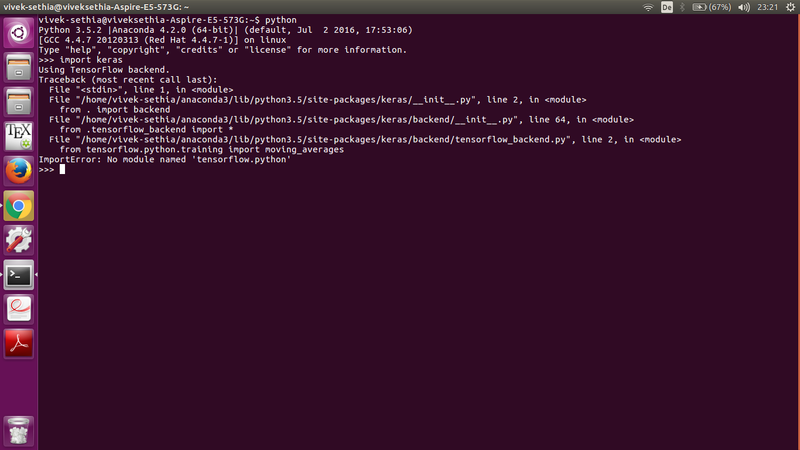 I was able to import keras after changing the backend to theano. Previously there was a typo and hence it didn’t work. Are you using Windows 10 Bash environment? even though I have vgg16bn.py from the github downloaded into ~/nbs/. I thought it might be a permissions issue, but the acl on vgg16, utils, and vgg16 are the same. 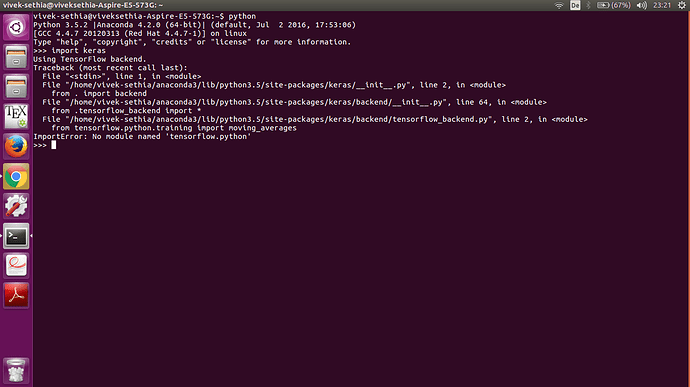 I have also tried restarting the python notebook kernel. I appreciate the help! Be sure that you are in ~/nbs when you run ‘jupyter notebook’. You can run ‘%pwd’ in a cell to check you’re in the right directory. I fixed the issue, though I am not clear on what caused it. I’ve been connecting to aws via the aws-ssh alias where is when i applied wget to retrieve vgg16bn.py. However, this time I connected with the connect command I saved from the setup_p2.sh , and there I saw the python script was missing. I think the ip address was not stable when i do aws-get-p2 and then aws-ssh. I just remembered you mentioning this in the beginning of lesson 1, so I’ll go back and try to see what I need to do to avoid this issue in the future. Thank you for the quick response!